The shotgun is a pretty basic firearm. Because of its short range, you can easily get by with just a bead sight whether you’re shooting turkey, ducks, or clay pigeons. But that doesn’t mean you can’t make your shotgun better by upgrading its sights. These days, a lot of shotguns are getting an upgrade with sights. Take the Benelli M4, for example. It comes with a real ghost ring and rifle-style front sight, helping shooters maximize their accuracy. The Benelli M4 Tactical comes standard with a ghost ring sight instead of a bead. 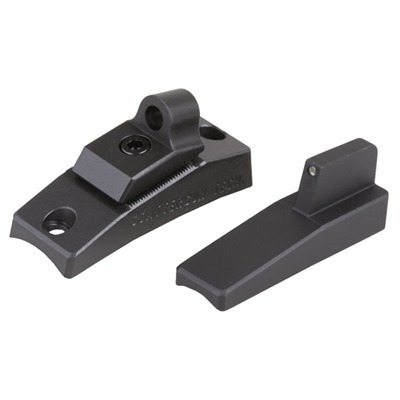 The problem with bead sights is that it can be hard to see them in a dimly-lit environment, which puts you at a disadvantage, say, if you ever need to use your shotgun for home defense. And that’s why we’re going to look at some good alternatives to your standard bead. Let’s get started. The Big Dot Tritium front sight ($52) is your standard rifle-style sight that’s glued on top of your standard factory front bead between 0.120” to 0.140” in diameter. The benefit of the Big Dot sight is that it allows the same quick target acquisition as the bead, while also making it easier to aim in a low light setting. Another benefit of the Big Dot sight is its easy installation. Most shotgun owners will be able to have the site mounted to their shotgun in a couple of minutes – and 24 hours later, after the epoxy has dried, the site is ready to be used. However, if your bead falls outside of these dimensions then you’ll need to replace the bead before installing the sight. XS recommends replacing your over/undersized bead with a number 6 or number 26 bead from Brownells before mounting the sight. Wilson Combat’s Trak-Lock Set ($120) comes with a ghost ring rear sight and a self-illuminating Tritium front sight, making it the perfect sight for a low light environment. If you’re looking to squeeze a little extra distance from your slugs then this is the right sight for you. 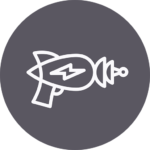 It allows you to get the smoothest possible target acquisition, giving you an overall tactical advantage. Another great feature of the ghost right sight is that you’re able to maximize your accuracy shooting at longer distances without sacrificing the speed and effectiveness at close range, so you get the best of both worlds. The Trak-Lock II Ghost Ring sights have an adjustable rear so that you can get the most out of every shot. The sights can also adapt to fit other various types of shotguns, but a little bit of modification might be required to ensure they fit properly. What’s your take on a good set of ghost rings? If you’re looking to go high-tech, Trijicon RMR ($577) can maximize the accuracy of your shotgun. Trijicon RMR optics are rugged, lightweight, and dependable. They’re strong enough to handle any recoil your shotgun will give it without throwing off the accuracy of the sight. Are you wondering why you’d ever want to spend this much money on a shotgun sight? Over the past few years, red dot shotgun sights have become increasingly popular among hunters – especially turkey hunters. That’s because they make it easier to acquire your target from the brush without losing your sight. Another high-tech option is the model 512 holographic sight from EOTech ($379). 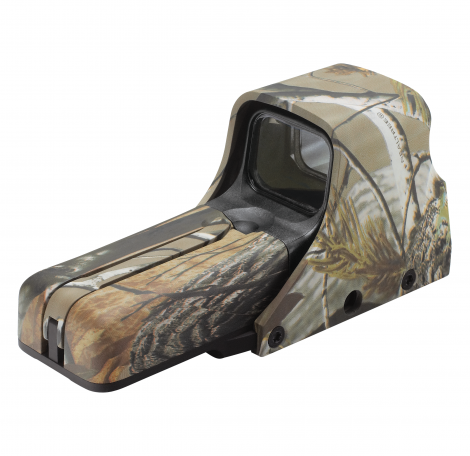 It’s a favorite among turkey hunters because of its precision and wide field of vision. The sight’s display makes it easy to know when exactly your on target, making it easier for you to bag that Tom turkey without giving your location away. The good thing about EOTech’s holographic sights is that they’re hardy enough to absorb all of the recoil from your gun without throwing off the accuracy of the sight. Also, since this particular model is powered by AA batteries, you’ll never have to worry tracking down any rare battery packs to keep it powered. Overall, the Model 512 is an excellent shotgun sight that helps you take an accurate shot with every round. But if you’re looking for something specific to home defense and already have your own night vision system device, you may want to get the night vision-compatible version, the Model 552, instead. It’s virtually the same type of sight with the exception that it fully supports night vision. Redring (approximately $600) is a type of red dot sight that was designed specifically for shotguns. It’s hardy, able to absorb recoil, and the perfect sight for any hunting trips with a shotgun. There are a number of features that make the Redring a unique sight to have. For starters, the iconic red ring reticle is designed to accurately represent the diameter of a shot taken at a target from 65 feet. Furthermore, the sight has an optional smart self-adjusting feature that uses the intensity of the background light to determine the brightness of the reticle. And since the Redring is parallax free, you’re able to look through it with both eyes open from any angle without an issue. That concluded our list of shotgun sights. 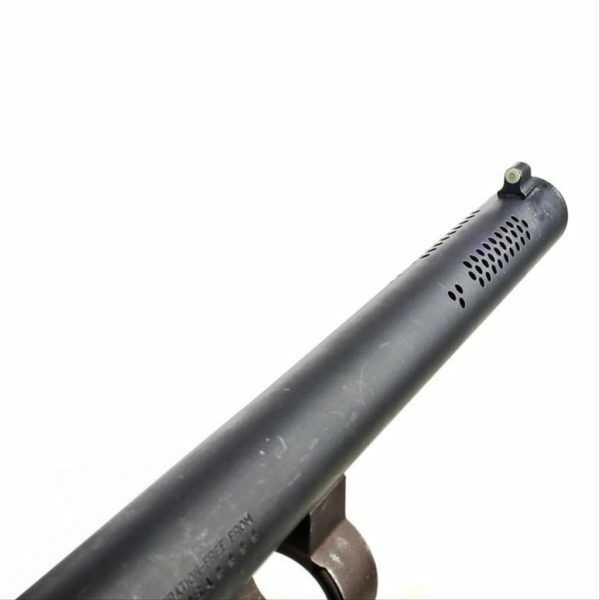 As you can see, there are a number of different high tech options that have been gaining popularity with shotgun users. If you’re looking for something a little more powerful, be sure to check out some of the high tech sights out there. You will also want to look at our comprehensive guide covering red dot sights on shotguns. There, you can learn a little bit about each type of optic before you decide what you want for your shotgun. As with virtually everything gun related, you’re going to want to give various red dot sights a test drive before determining what you like. Since most hihg-quality red dot sights cost around $450 to $500, you don’t want to spend your money on a sight only to find you don’t like the way it feels. With that said, red dot sights are great for giving you a tactical advantage and an upper hand during hunting trips. And finally, if you’re one of those people who believe if it’s not broke, don’t fix it, you may be okay with using your bead or iron sights. At the end of the day, it’s all about what’s comfortable for you. And if you shoot best with the baseline sights, more power to you. Why not any of the Truglo sights. They are fairly priced. Are they considered junk and I should stay away?